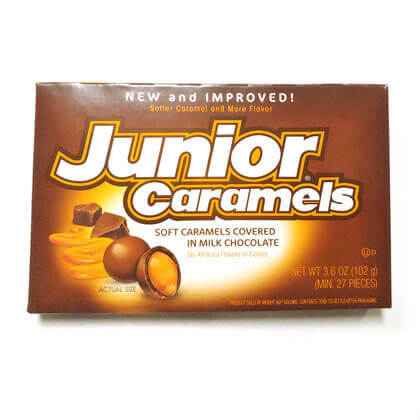 Junior Caramels in 3.6 oz theater box. Delicious milk caramels in pure chocolate. Box is approx. 5.5 inches by 3.5 inches.